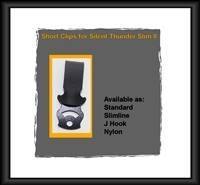 Clips for Inside the Waist (IWB) holsters Silent Thunder IWB, Silent Thunder Solo, Silent Thunder Fusion, Silent Thunder IWB Revolver, Silent Thunder GT, Silent Thunder Slim and Silent Thunder Slim II. 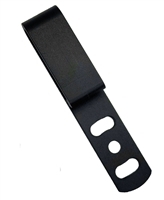 All Kydex clips have a cant capability of 30 degrees forward and 30 degrees back; Nylon Clips have 15 degrees in either direction. Click on models above to see available mounting options. 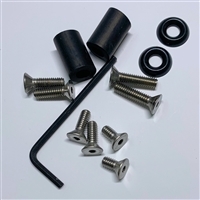 Kit consists of screws for mount/clip (3/8") and retention (1/2", 5/8", 3/4"), rubber tubing, finish washers and hex key. 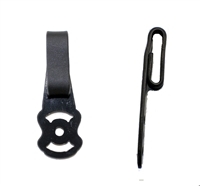 The Standard Clip is the most popular and a good, secure choice. 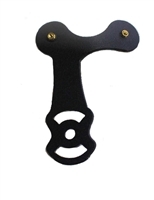 The J Hook is the most concealable and is best suited for lightweight firearms. 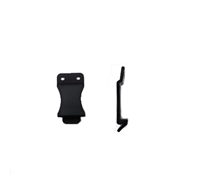 Garrett Industries Kydex IWB Clips for the Silent Thunder Slim II are adjustable and cant capable to position your Silent Thunder Slim II to your preferred position. 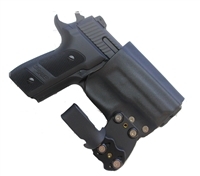 The FOMI mount is used on the GX and G02 Holsters. 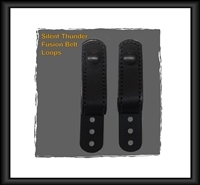 The V Clip is only suitable for belts that have Velcro "Loop" already attached. 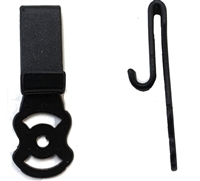 The Nylon Clip is the most durable and a good, secure choice. The Wide Clip has been made wider to alleviate stress at the bend. Replacement mounting piece for Tuckable Loops.